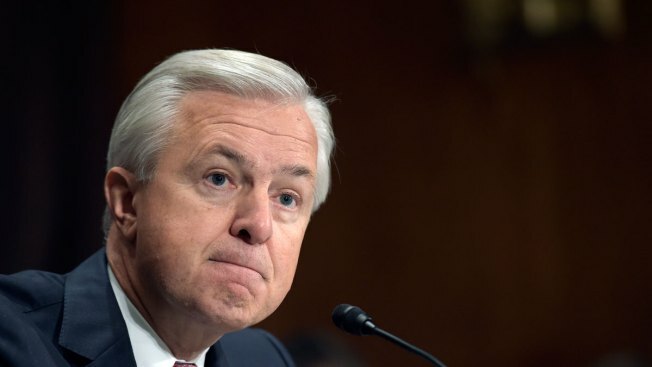 In this Tuesday, Sept. 20, 2016, file photo, Wells Fargo CEO John Stumpf testifies on Capitol Hill in Washington, before the Senate Banking Committee. Wells Fargo CEO John Stumpf stepped down from his position on the Federal Reserve Advisory Council Thursday, according to a statement from the San Francisco Federal Reserve. Wells Fargo told CNBC that Stumpf “made a personal decision to resign” as the council’s Twelfth District's representative. “His top priority is leading Wells Fargo,” the company said. Earlier this week, Stumpf appeared before a Senate Banking Committee hearing on Wells Fargo's sales practices and the roughly 2 million accounts the bank opened without customer authorization. The CEO said on Tuesday he is "deeply sorry" for conduct that "failed to fulfill our responsibilities to our customers, our team members and the American public."